Smart Home Week is now in its 2nd year and it is a great opportunity to find out more about Smart Home products. Over the past few weeks my home has been having a Smart Home Makeover! We have been installing some fantastic products within our home that are going to make our life that little bit easier, safer and save us money. I am also a Mum to 3 children and life can be pretty busy, so I am more than happy to find products that make my life easier! Research has found that 47% of people find Smart Home products over whelming. I have been working with some fantastic supporters who are supporting Smart Home Week, so a BIG Thank You to, Yale, Samsung SmartThings, Google, Amazon, Tado, BSI, Philips Hue, eBay, Ring. 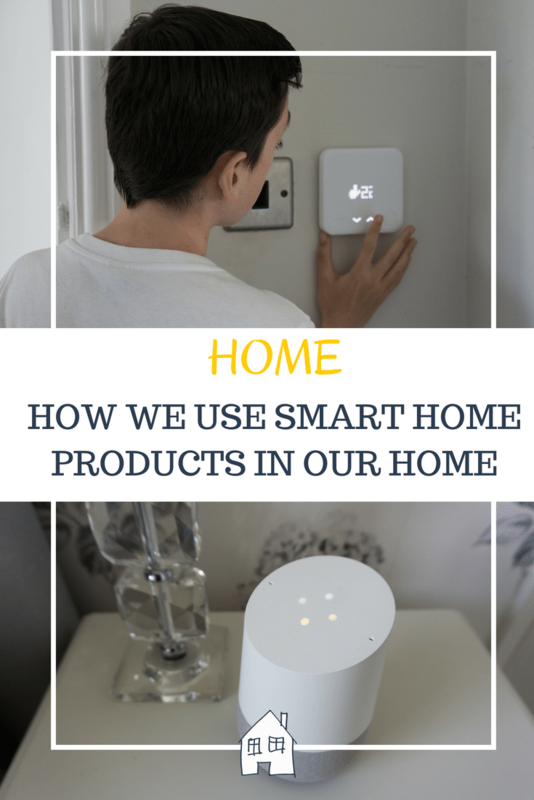 I am going to show you how we fit Smart Home products into our family routine, and give you a little house tour of the products we have been sent. Even though they may seem a bit scary to start with, you can quickly get use to them. Please take a look at our day in the life, it was a royal day! It shows you the Smart Home products being used within our own family lifestyle, how easy they are to use and see the kids even using them. Home security is something that has overwhelmed me in the past. I didn’t know what type of products we should have, how we install them and how costly with wiring in would be. 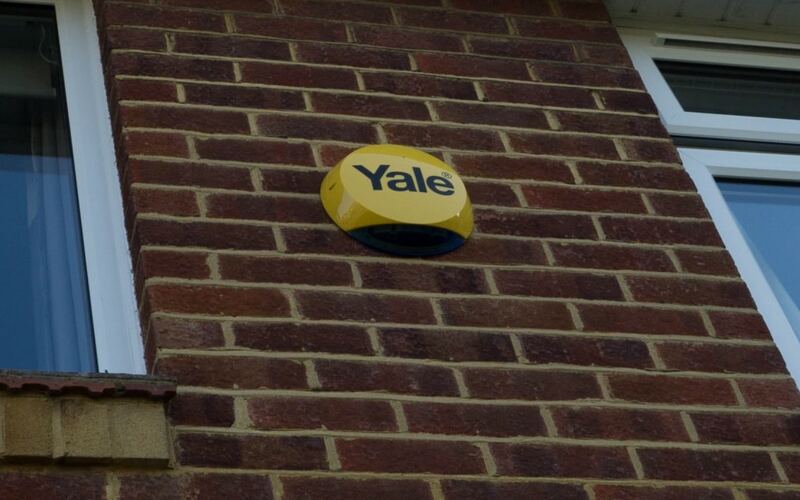 So we have been very impressed by the Yale Smart Home Alarm system we have been using over the past couple of weeks. The installation was an optional extra but it was well worth it. We had an official Yale security installer who arranged to come to our home, installed the full alarm system and went through everything with us. He even suggested appropriate places to position the parts and checked everything worked correctly. We own a dog so we loved the option of being able to part arm the system so he wouldn’t set it off when he was left alone in the house! Also it was very easy for us to use as a family. My son is 13 and sometimes comes indoors himself so it needed to be simple enough for him to use as well. We have a keypad installed which you can input your number to deactivate it. Using the app you can control the Yale Smart Home Alarm from your phone anywhere, which is brilliant for when you’re on holiday. You will be notified if the alarm is activated. I also have a camera fitted inside the house which will capture an image when activated. It is very reassuring to have this installed now, and my son is even getting to sleep better knowing we have this installed. 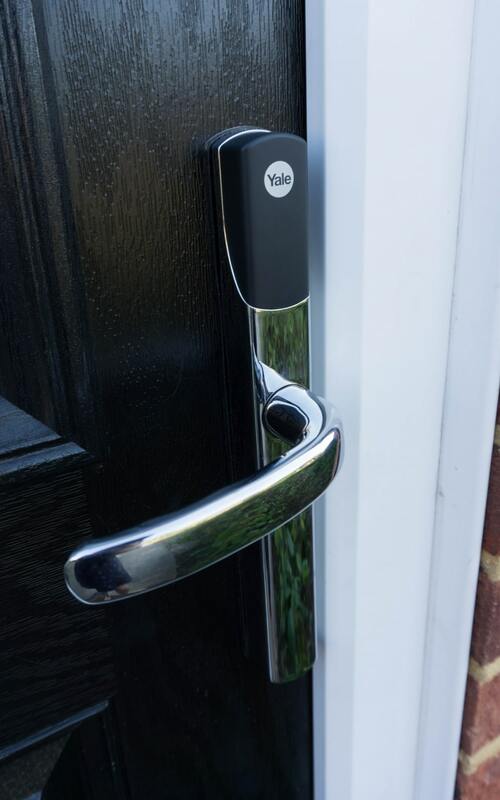 Another security feature that we have had installed is a new Yale Smart Door Lock, the Yale Conexis L1. This smart door lock not only makes my life easier, it gives much more flexibility on who can use the door with the use of an app. When leaving the house all I have to do is pull up the handle and the door locks itself. The door will let you know with an audible alert when it’s locked too. What I really like about the smart door lock is being able to issue out keys to people you want to by using the app. As long as the person has installed the smart living app you can send them a key from anywhere! If you needed someone to check the house, or you weren’t sure if you had turned off the hob I could send my friend a key to use. This can be configured to when you allow them access to use it and for how long. This would be good for workman that you trusted to stay in the house whilst you were there, but they could have access to the house without you but only within certain times. We also love the key fobs that you can use, just hold the fob up to the door and it unlocks the door. There is only one of these that comes with the alarm system but you can purchase extra ones from Amazon, Also you can have a key card as well like in a hotel room! I have always worried about my son having a key then loosing it and having to change all the locks. You don’t need to worry about that. With the Yale Conexis L1 Smart Door Lock you can name each key fob and if they are lost or you don’t want that person to have access anymore you can deactivate that key only within the app. This has made me so much happier about him having a key now. 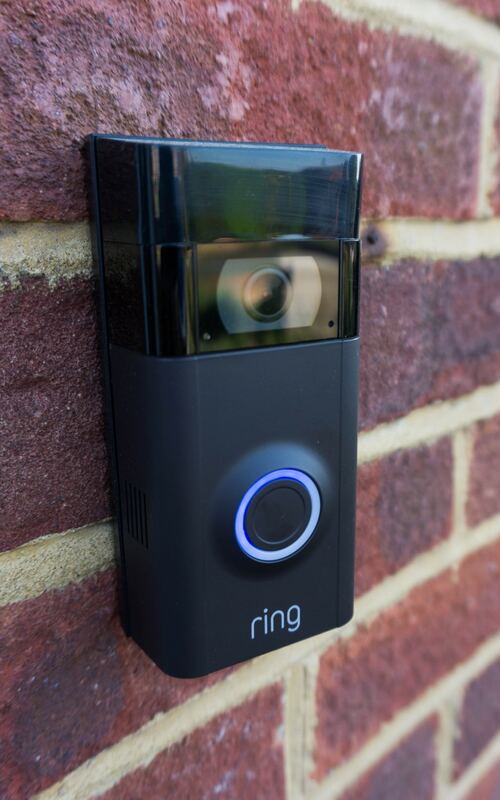 I have always wanted one of these Smart Home Ring Doorbells! Being able to video people who come to my door is a big deterrent I think. We live in a no cold caller zone but it does get ignored. I think people who shouldn’t be coming to your door might question even ringing if they saw a video doorbell. You can have the Ring Doorbell set that it starts recording as soon as the button is pressed, or you can have a motion setting activated. So as soon as someone approaches the area you have set it will start recording. I think this is great as our car is parked on the drive in this motion area, so if anyone tried to break into the car it would record them doing this. It will also alert us to this motion as well on our phones, so we would be able to disturb them. I was out the other day and I was alerted on my phone that someone was at my door. I was able to have a look at who it was and what they did! My twins love playing with it too!!! You do have to pay a monthly/yearly fee if you want to keep the Ring Doorbell videos that have been recorded. We will be doing this as I think it would be worth it for safety if we ever needed to pull information from the video. This one is my kids favourite! The Philips Hue Smart Home Lighting system! We now have a disco going on in our home!!! The Philips Hue LED smart bulbs are not just any old plain boring bulb, we now have 16 million colours to choose from and themes! All this can be controlled by the app or with your voice on the Google Home! 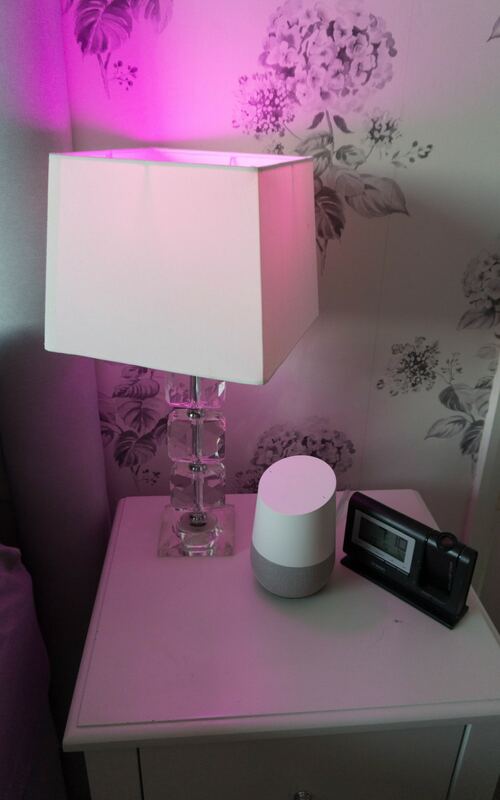 Each bulb is named so just ask ‘OK Google, Change the bedroom light to pink’ and it will change it. Or you can change them all at once! It’s great if you walk through the door when it’s dark and you have your hands full, just ask Google to turn them on for you! We had blue, red and white for the royal wedding in our video! With different modes like concentrate, energize, read and relax. I have found it really good having a relax lighting in my bedroom in the evenings rather than bright lighting. I find the timer schedule a great safety feature too. When you are away from home you are able to control your lights, this is really good for security of the home. There are so many functions to these lights, although I have enjoyed the waking up gradually function as the light brightness increases gradually, instead of being woken up suddenly! I hate mornings so anything that helps me the better!! 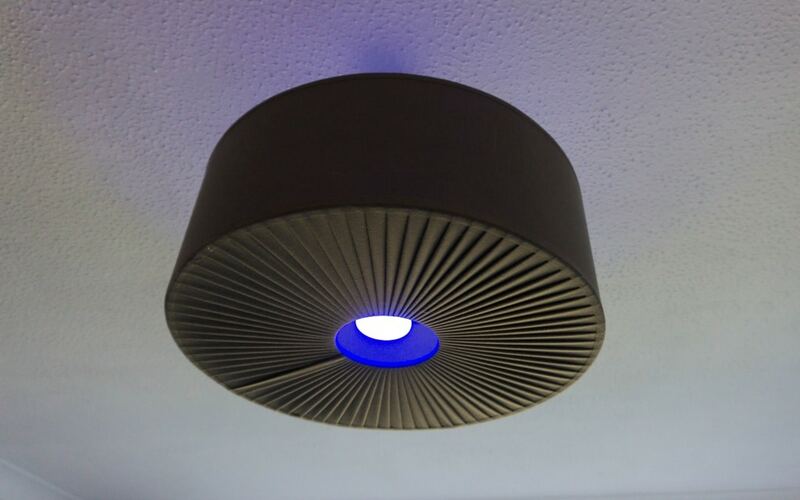 With the ban of halogen bulbs coming into effect later on this year we are looking at updating our lighting systems, Philips Hue bulbs are LED bulbs which are super for energy efficiency. Operating at 10w and 25,000 hours of operation! These maybe more expensive than your normal bulbs, but they will last a long time and have lots of fun in that time! The smart heating systems were one of the first smart products I had really heard of. 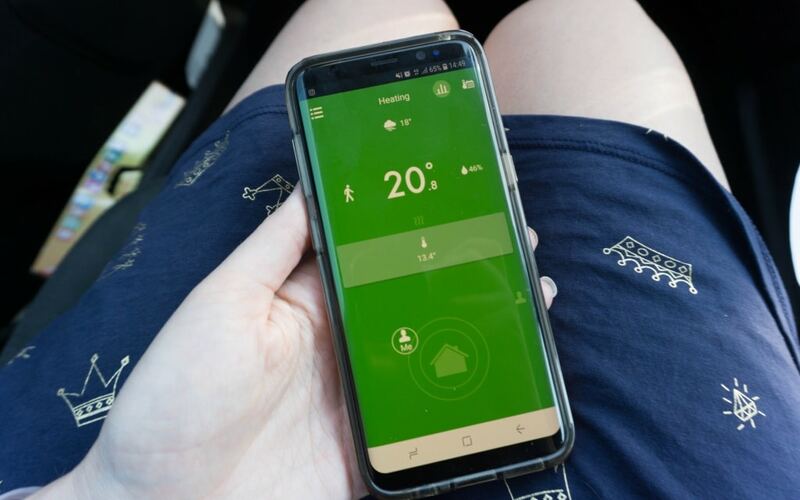 Our thermostat was pretty old so the Tado Smart Home Heating System was something we really needed to get our head around! It was easy to install with the easy to follow installation guide that came with it. 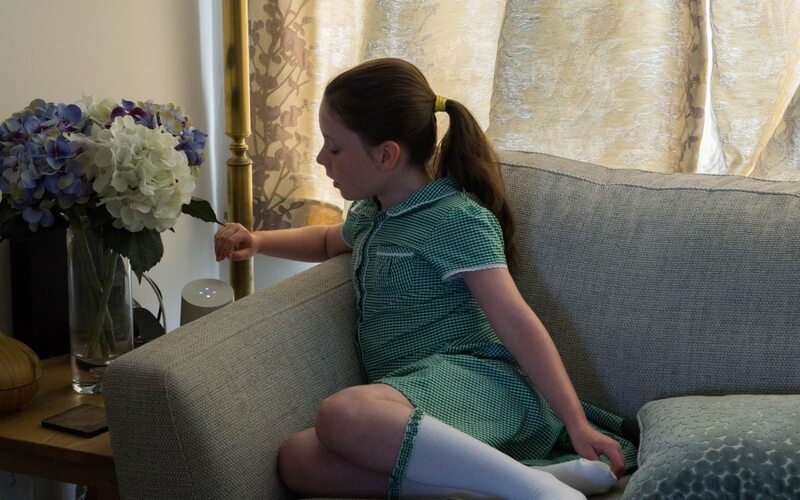 It is ready to use straight away, with the thermostat box installed in our lounge it is accessible for everyone to use, it is so simple the kids happily can use it. Displaying the currently temperature of the room you are able to then raise the temperature setting up and down. The smart heating system will then talk to the boiler and start heating up the home. 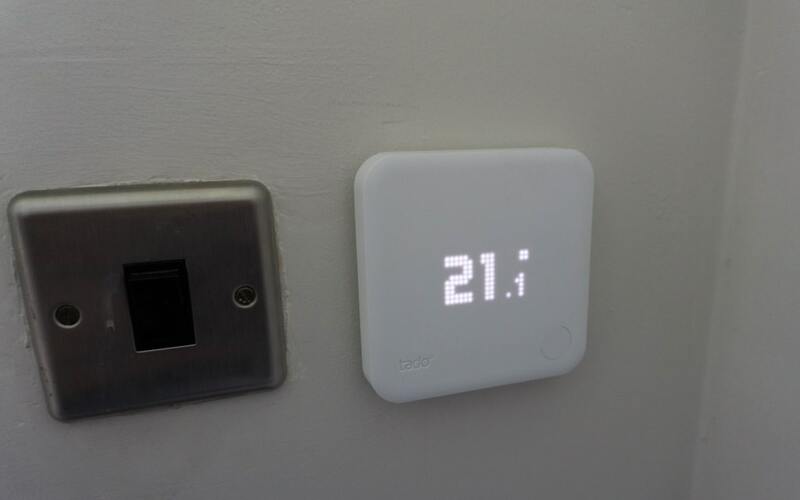 What stood out to me about the Tado Smart Home Heating System was how clever this was! Once the app is installed on your phone it has a location setting so it know when you are away from home. It won’t turn the heating on even if the schedule says so as it sees it as a waste of heating. So when it detects you getting closer to home it will turn on the heating and heat it up to your temperature set! This will be so nice in the winter when we have been for our walks, to come home to a warm house. 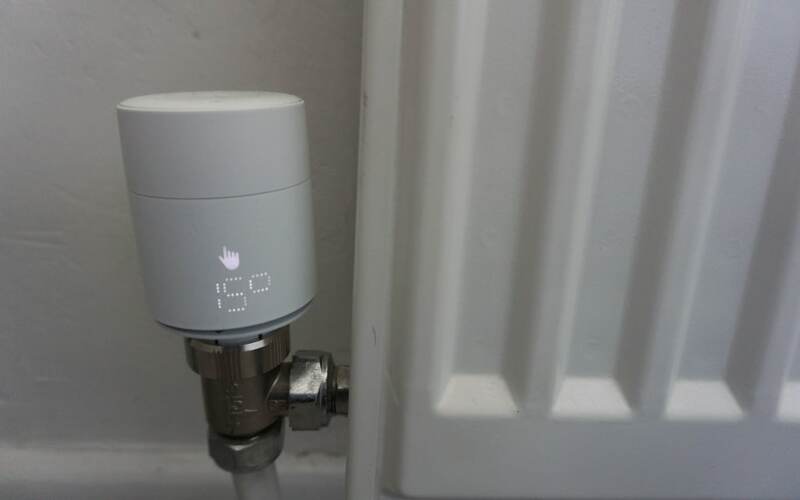 Another feature of the Tado smart heating system is being able to add on radiator thermostats to each of the radiators. If you have one of these on each of your radiators you will be able to set temperatures to each room. I hate a warm bedroom, so would always have mine set low. However I don’t want the children getting too cold when they kick off their duvet! You just twist the tops to display the temperature set, however you can access this all through the app too. Tado are so sure they will cut your energy costs over 12 months that they will give you a refund if they don’t. I am looking forward to next quarters energy bill! 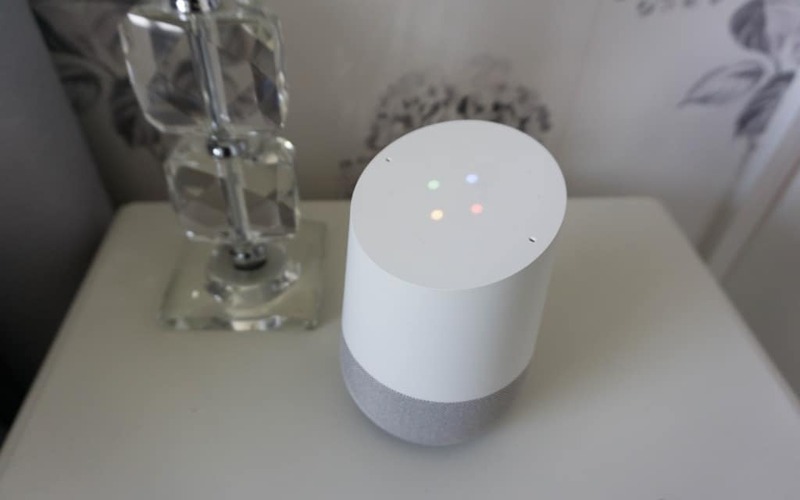 Google Home is such a cool product, it can control so much in your home, answer questions, teach you how to cook, play music, tell you the weather, news and have alarms set to wake you or reminders. We have had so much fun with Google Home!! Honestly there is so much you can do with the Google Home! 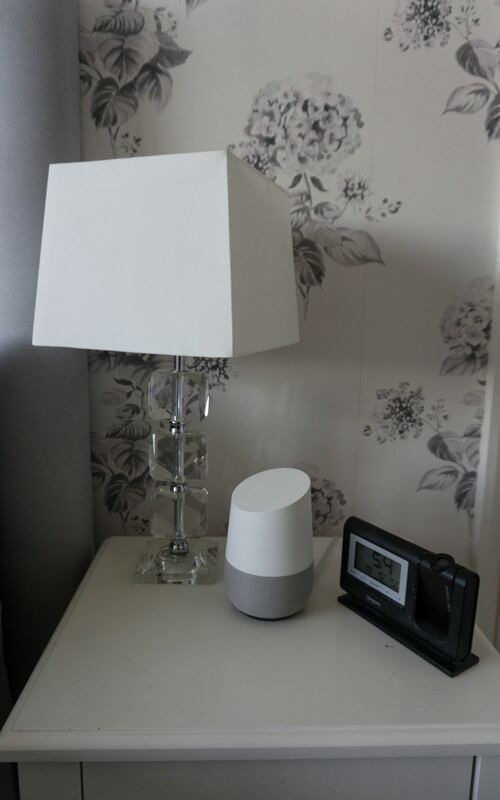 Google Home works with some of the products I have featured above, so you can set them all up to be able to control with your voice. Take a look at our video to see the Google Home in action and how we have been using it. My daughters love asking it questions and jokes! You know those times where your stuck on your kids homework question?! Ask Google and she helps out!! My dog even listens to the radio through it when we go out! 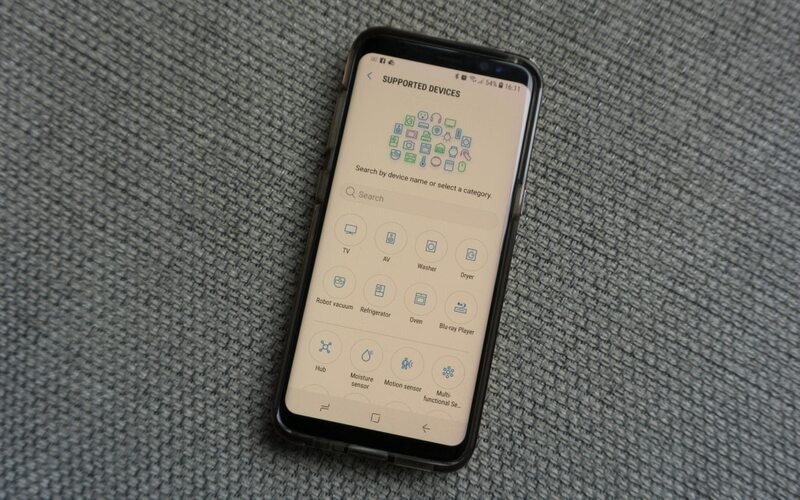 The Samsung SmartThings Hub joins all of your Smart Home devices under one simple umbrella via its easy to use App. 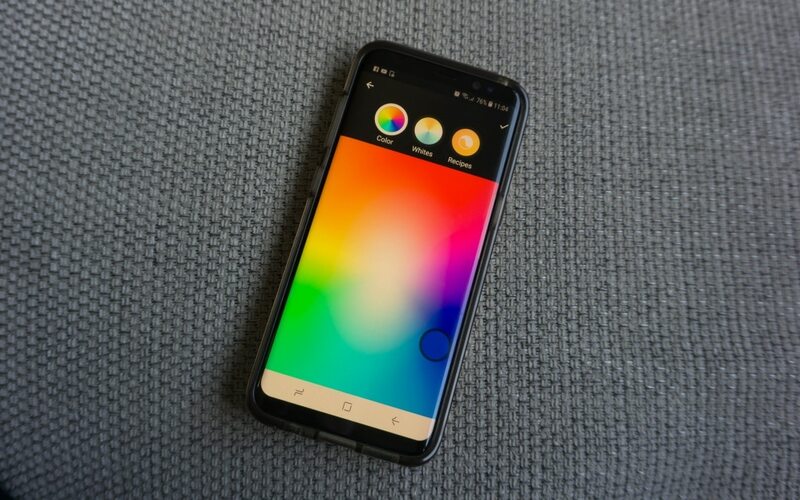 Now you have no need to have multiple Apps for all your individual Smart Home products you can now control all of them using the just the one App. 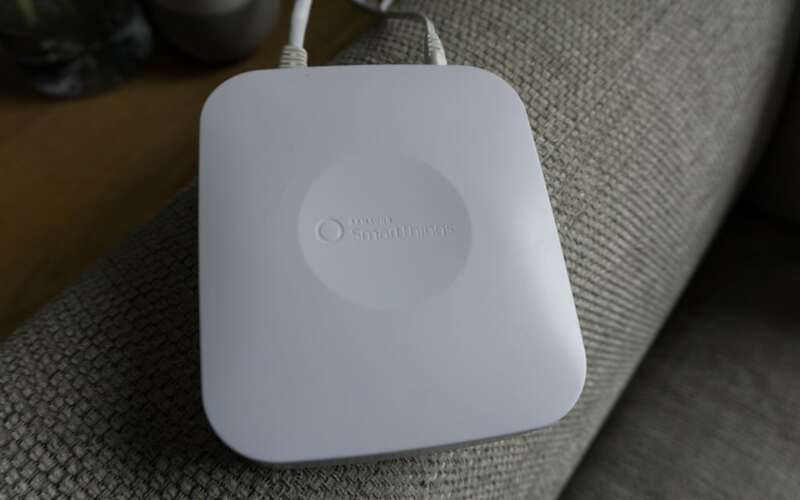 Also, the SmartThings Hub comes with its own sensors and Smart Home features that you can integrate into your Smart Home alongside your existing products. For example, we have set the Samsung motion sensor setup in our hallway so that it will detect us coming in the front door and will then turn on the hallway lights automatically for us! A godsend late at night or during the winter months when you’re coming home laden down with shopping! So how many times do your kids leave the lights on? Now they will turn off automatically when they leave room! Saves money and stops the nagging from me!!! So how do you feel about Smart Home products after seeing them in our home? Any questions do ask me as I would love to see more people being able to have these in their homes. Technology is advancing all the time and we are going to have to keep up at some point! So let’s have fun along the way with it, pink lights anyone?!! *I have been working with the fantastic brands featured in this blog post. I was supplied the products to be featured in this blog post for the purpose of this post. However all words are of my own. Ah brilliant I love the idea of those! What a cool catflap!! 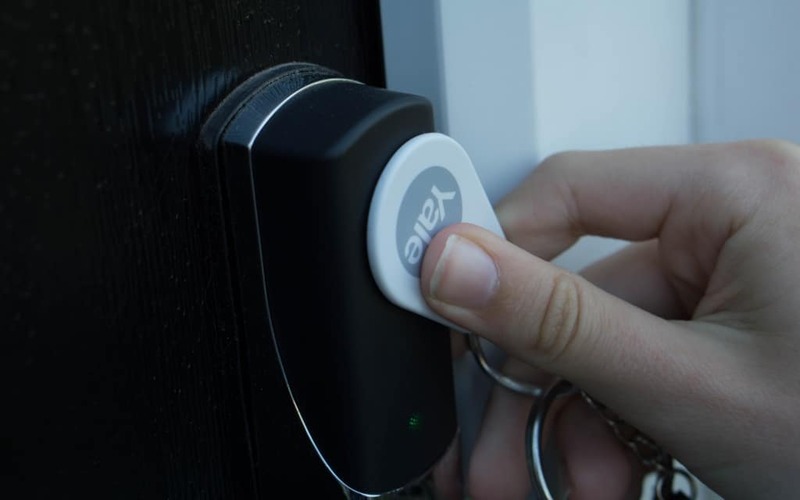 Yes you can get a module that when you unlock the door with the key it turns off the alarm for you as well. Great idea! Gosh — we’re so behind the times!! We dont have any of these products Steph!! I love the sound of all of them but the expense of wiring our house up with smart tech really puts me off!! We don’t even have Alexa LOL!! All of these are wireless! Just need a router and the hubs plug into that, so it’s so easy to install. I didn’t realise it would be THAT easy either!! Hardest thing was learning what they all do!! This would be my husband’s dream! He loves a good gadget! Oh yes my husband has been in his element! So many clever gadgets the doorbell and special key are so clever, might look into your alarm as we have the problem with pets in the house! I love how technology has made everything easier for us. It has also made security tighter. I would be glad to have this at home. Wow this blows my mind a little as it’s crazy just how smart things have got! I love the doorbell, that would be fab for when my mother in law comes round…. hmmm…. Gosh, modern technology is something else, isn’t it. The highest tech thing we have so far is the Amazon Echo, but we’d love to get more smart home things. Its great fun isn’t it! Does so much!! I think the way technology has come is incredible., however it’s way to daunting for me and I do prefer things a little old school. I’ve not even heard of half this stuff…I sound so old! I hadn’t heard of some of this until now!!! Wow! I hadn’t realised how many smart products there were for the home now. It is slightly overwhelming and being in a rented property not sure how much we could incorporate, but definitely going to be looking in to some of these items. 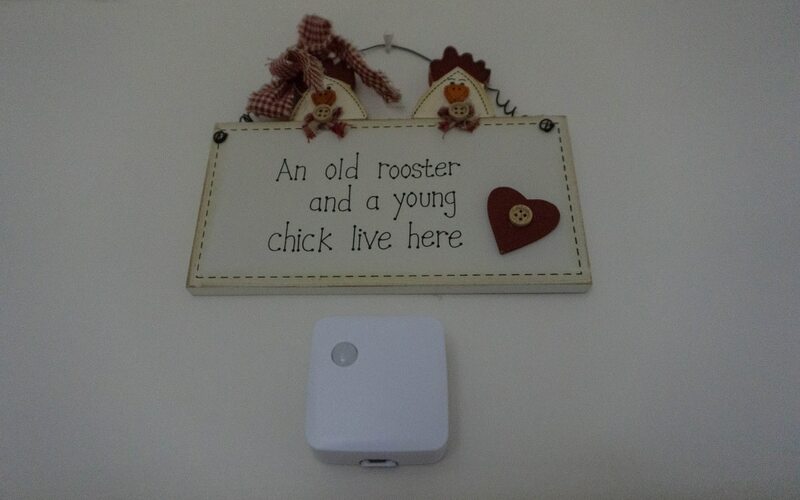 I love the security features particularly the doorbell and I know that friends love the home heating system (it wouldn’t work for us as we have an aga and wood burners) I’ve never fancied a google home or similar though – I find them a bit creepy! I’d love to incorporate some of these things into my home. How convenient and safe feeling some of these are! Security and peace of mind are so worth it. We have security screens on all 4 doors and half window screens. Makes me feel so much safer! The Smart Home Door Lock is something I need in my life. I love technology and I am so glad when it`s working properly. How the world is going isn’t it, this has all been very reliable so far which is great! All of these sound great. We had a similar alarm and thermostat in our house in Wales. I do like the sound of the Smart Lick for the front door! It looks so cool as I walk up to the door with my key fob!! Wow. . . the future is here and I didn’t see it all before me. It’s pretty crazy all of the technology you can have in a home. But it’s great how it can help you out in a million different ways. I just hope Google home isn’t listening in and collecting data a la facebook, to be used at another time. But these are some pretty cool gadgets for the home for sure. My son jokes and says is the government listening to us through the Google home!!! Your house is so smart. I love the Yale Alarm. Need to look into getting that. 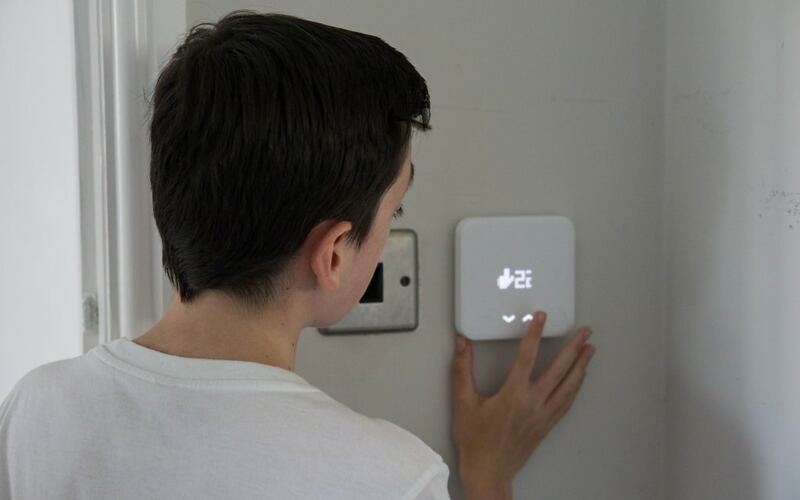 Great post, I’d love one of those smart locks, it would make life a lot easier. Also I would love a Google Home or Alexa but our internet is bad already living in the middle of nowhere so I don’t want to connect something else to it to slow it down further. I think these are such a good idea! Makes you feel safe and protected I bet! The video doorbell is really cool, watch my postman delivering my parcel whilst I was stood in a queue this week!! Glad to see the advancement of technology and so many products to make our home smart! I only have a Google Assistance at my home but I need to invest in door alarm! We have something similar in our home and we LOVE it! We love having the camera on the doorbell so I can see who is at the door, it makes me feel so much safer when I’m at home alone with the baby. We also use it to control the heat, the tv, and the music in our house – even our 5-year old knows how to use it! I love it and couldn’t live with out – but it confuses the heck out of my parents when they stay with us!! My Mum is scared to come over in case she does something wrong!! Sounds like your really set up! I’m a bit ambivalent about all this smart home technology. My husband would be totally in his element here though. Yes my husband has been as well!! Loved reading this post it’s so important to make sure your house is secured safe. My flat got burglared when I was younger so I am always aware of making sure I can do everything to avoid this from happening again. Thank you very much, I can only imagine how much that made you nervous, we can only do what we can can’t we. I love the key fobs, what a fab idea! This would come in handy for our eldest who starts secondary school in September. There’ll be the odd time he’ll get home five minutes earlier than me and he’s not the best with a key – sometime they stick a little and I can imagine him getting upset waiting on the doorstep! Yep the key fobs are so easy to use, you can deactivate them easily as well if they loose them as each one is named on the app. All I can say is wow! The alarm and the door bell look great its something I am thinking about getting fitted in our house as we are pretty rural. I love all the others but my husband is a bit of a traditionalist! Something a lot of people take advantage of and dont put enough time into is house security. I’m so strict on what I do with my belongings when i’m out and being at home should be no different! Oh gosh how mad is that!!! Wow, who knew there were so many home safety gadgets! Love the door fob and door handle – also totally agree that the doorbell camera must be a real deterrent! We do have an alarm but only use it when we are not home for longer than a night – I am too scared to have it on as I am always worried I am not going to be able to key in the security number quick enough or turn the alarm off! This is a cool concept. I love how advanced technology is getting these days and that we can do so much from an app on our smartphones. Amazing. Oh wow this is so cool! So interesting to see all of this at work in your home I love the look of the smart video door bell in particular I would love one of those. It’s interesting isn’t it to see how it all works together, the doorbell is cool isn’t it! I am amazed by what technology can do these days. It’s amazing! Wow your home is really all geared up now isn’t it! I’ve been looking at getting an alarm system for a while now so I’m just clicking off to read about this Yale one you have. We have a dog too so it sounds perfect. I really like the look of the door camera too. It’s nice to have that reassurance of a bit of the security isn’t it. My husband has been in his element! Wow that all looks awesome. 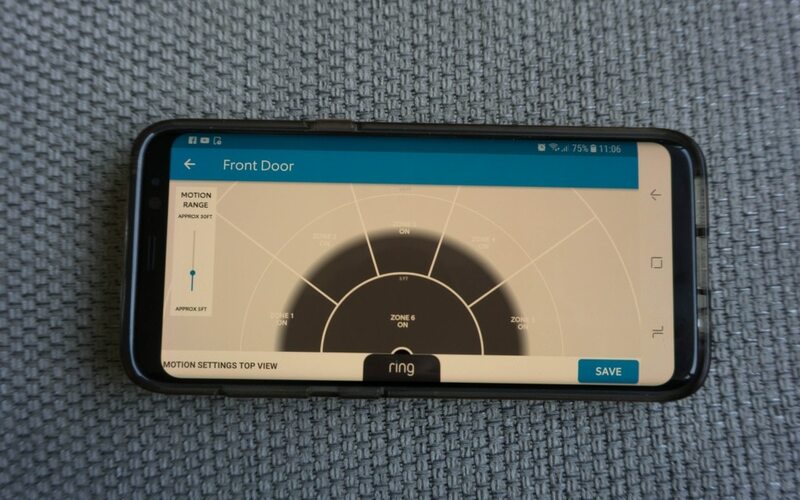 We have been looking at buying the Ring Doorbell so it is really helpful to read your thoughts on it! Bet your kids are loving it all! Yes the doorbell is great, I watched where my postman put my parcel this morning whilst I was stood in the post office queue!! It really amazes me how technology can provide such convenience and security. I admit, I am sort of technologically challenged at times so stuff like this might take quite some time for me to learn. I love the video doorbell though. I like to see who is at my door first before I give it a peek. The video doorbell is so clear as well so you can get a clear picture of them. It will take me a while longer to make the most of every bit all this kit can do but we will be all tech’d up! I remember when this was something you saw on a Disney movie – this is insane! Their is a lot of convenience but it’s also a little scary. Lots to get your head around but I love all the gadgets! What is it going to be like in 10 years time?! Lol! My husband has been in his element too with it all!